Trekking as a recreational sport started in the 1960s in the Himalayas and soon spread to other parts of the world, as more people got interested in exploring the mountains for their rugged nature and majestic views. Till this day, Nepal remains the holy grail for trekkers, with its ultra-high peaks that many dream to conquer. However, its reputation may also daunt novice trekkers as they deem Nepal trails to be too difficult, and choose to trek in their home mountains instead. But how are Nepal treks really like? Malaysia and Indonesia are mountainous countries in Southeast Asia, and they have many beautiful mountain trails for trekking. Let’s do a comparison between the treks found there and those in Nepal, and see how they stack up against each other. Scenery. While all treks have its own beauty, the scenery you see is very different in each of these countries. Malaysia’s mountains treks are typically tropical rainforest trails, covered densely with tall trees. The ecosystem here is rich, with many different types of flora and fauna. Neighbouring Indonesia lies on the Pacific Ring of Fire, and boasts of volcano mountains with beautiful craters and surreal volcanic lakes. Many of these are active volcanos and some are still spewing smoke from their last eruptions. 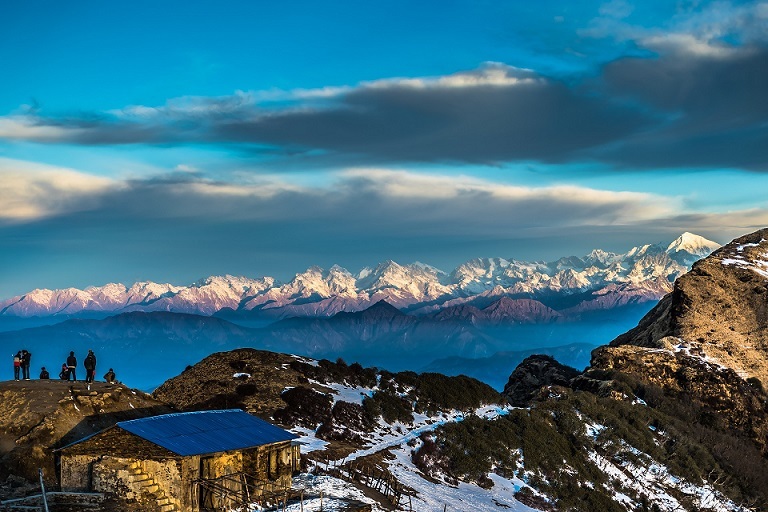 In Nepal, there’s opportunity to brave the summit of the tallest mountains in the world, but you don’t have to go to such heights to see jaw-dropping views of the majestic Himalayan range. There are many spectacular circuit routes and base camp treks that go up to over 5,000m above sea level, where you would be surrounded by soaring peaks everywhere on the trek. The scenery there is varied, gradually changing from forests in the lower regions to barer rocky mid-regions, and finally giving way to snow and glaciers in the higher zones. Trekkers can also get insight to the mystical Tibetan Buddhist culture and life in the highlands, as routes wind through mountain villages and towns. Altitude. One obvious difference between the treks in these 3 countries is the altitude at which trekkers would scale up to. The highest, and arguably most popular mountain in Malaysia, is Mount Kinabalu at 4,095m. The next highest mountain is 2,650m, followed by many others in the 2,000m to 3,000m range. Most of them are rainforest treks with rivers and waterfalls. Indonesia have many tall mountains in the region of 3,000m to well over 4,000m high. Puncak Jaya at 4,884m, is the tallest and one of the Seven Summits. But different from Malaysia, this mountain is only for the most advanced climbers as it is a technical climb and permits are hard to obtain. Most of Indonesia’s popular treks go up to over 3,000m high. Mount Rinjani is a popular destination that stands at 3,726m. 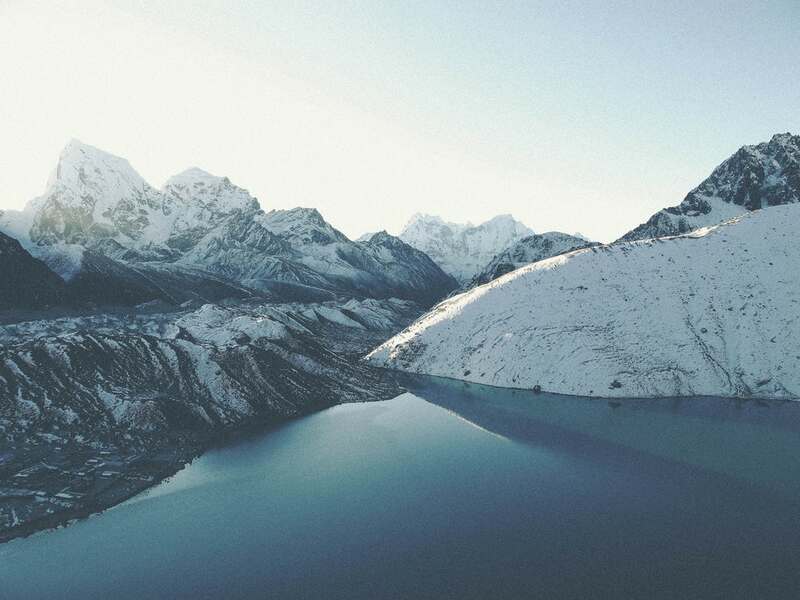 Nepal has 8 of the highest mountains (above 8,000m) in the world. 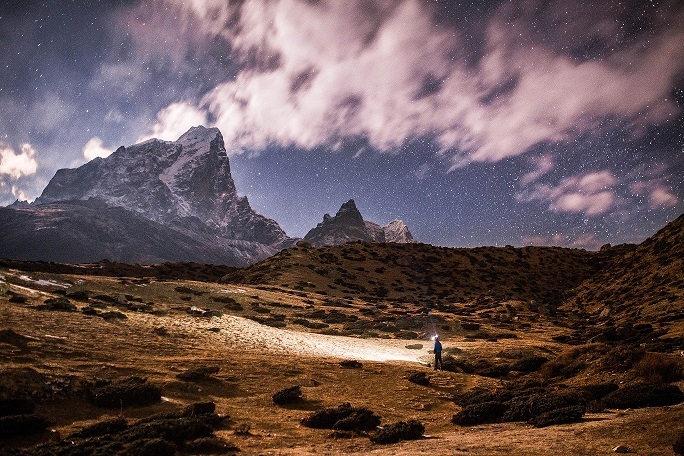 Popular trekking routes often reach up to high altitudes of over 5,000m above sea level, where one can feel the bite of the thinner air. One concern of high-altitude climbing is the onset of altitude sickness or AMS, which can happen when trekkers ascend too quickly from low ground to above 2,500m. Trekkers need to set aside some days to acclimatize, and can also take medicine (e.g. Diamox) beforehand, to prevent AMS. Trail Conditions. Treks in Malaysia are not long (most are completed within 1 to 3 days), but many of its treks are a true wilderness experience. Being a tropical country, its mountain trails are unruly terrains of dense rainforests, river crossings, with insects abound. Many of the routes are unmarked and trekkers can get lost easily, hence it is important to have professional guidance, especially on multi-day treks. Some treks have been made mandatory to engage guides and porters. Trekkers are rewarded with panorama views of the surroundings, and those who want to experience jungle wilderness can choose to tackle the treks here. Indonesia is popular for its volcano treks, and like Malaysia, the trails here are blanketed with forests and plantations. 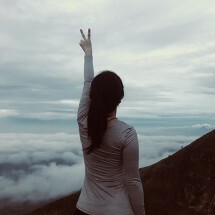 The attraction of the treks here are its unique volcano scenes, such as the Ijen Crater, where one can see magical blue fire, a result of the burning of toxic sulphur. Trekkers have to wear masks to witness this rare natural occurrence, as the air is pungent with the odour of sulphur. Ashy air is prevalent on Indonesia's other volcano treks as well. Duration of treks may not be long, but often gets treacherous near the summit where the trail becomes challenging – soft volcano sand, and steep slopes may put you back one step for every two steps you climb upwards. Though difficult, ethereal scenes you get to see along the way are what draws many to this region. Nepal may have the most accessible treks of the 3 countries. Having established a trekking economy for decades, most of its trails are well-marked, with numerous stone staircases and suspension bridges, especially in the Everest region. 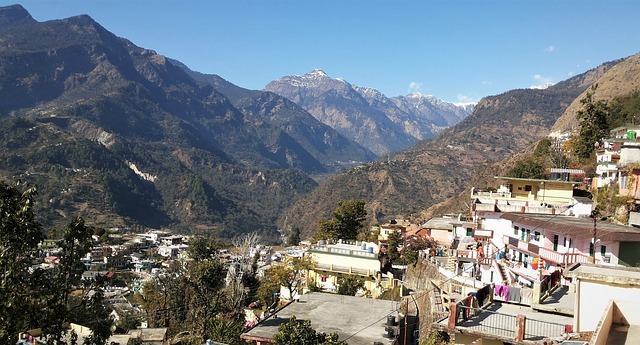 There are many settlements in the lower regions, and trekkers get to experience the hospitality of the locals as they pass through the villages. Routes are also populated with fellow trekkers, and there’s a strong sense of connection between like-minded people out for an adventure. The treks here are mostly not difficult technically, but as the routes rise up to higher elevations, trekkers would start to feel that the climb becomes more strenuous, due to the thinner air. The other challenge of Nepal treks is the sheer duration itself. Many classic routes can range anywhere between 7 days to weeks to complete. It takes mental strength to continue trekking day after day, but views of the majestic mountains would be encouragement for you to push through your physical limitations. Accomodation. Both Malaysia and Indonesia treks may have mountain resorts or chalets at the lower, more accessible parts of treks or at the summit. But if treks require multi-days, trekkers would have to set up their own camp and cook meals themselves. Bathing and other personal hygiene matters would also have to be taken care of under the cover of nature. Nepal differs from trekking in many parts of the world in terms of accommodation. Trekkers can put up in mountain lodges, commonly known as teahouses that dot the trails all the way up to the high base camps. The teahouses provide basic rooms, food and shower facilities. Spotty wi-fi may also available for a small fee at the bigger villages. The provision of lodging on the trail can make a world of a difference to weary trekkers, as they do not need to pitch tents and prepare their own food at the end of a gruelling day. So, here you have it, an overview of the trekking conditions in in Nepal, Malaysia and Indonesia. 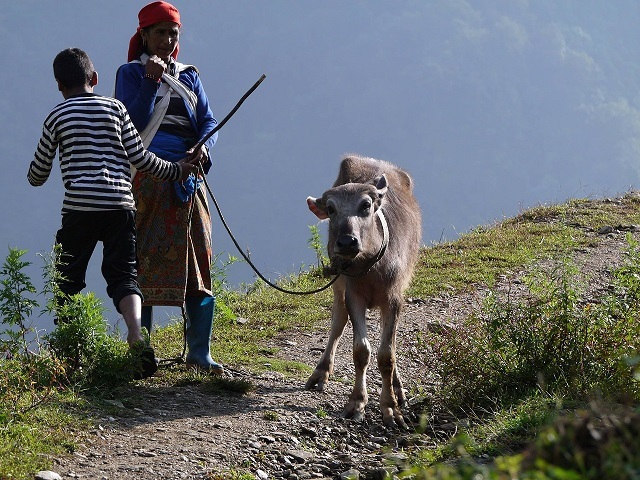 Many would be surprised that trekking in Nepal is not as challenging as imagined. Which sort of treks are more appealing to you? Would you consider embarking on one of Nepal’s stunning treks? Get more inspiration for your trip to Nepal here!